Giorgio Armani Eyes to Kill eyeshadows are my weakness. I love the frosted little glass pots and the beautiful pigments housed inside. Of course, they perform very well as well! The texture can be confusing to many though. Many people have tried to describe them, so here’s my try. It’s a very, very finely milled powder that is pressed down (but can be loosened) and very silky. It is DEFINITELY a powder, I don’t know what the people who describe it as a gel/cream-powder hybrid are smoking. The worst description I’ve seen are that it’s similar to the Colorpop shadows. NO NO NO NO. The unique texture of these little pots can confuse people. 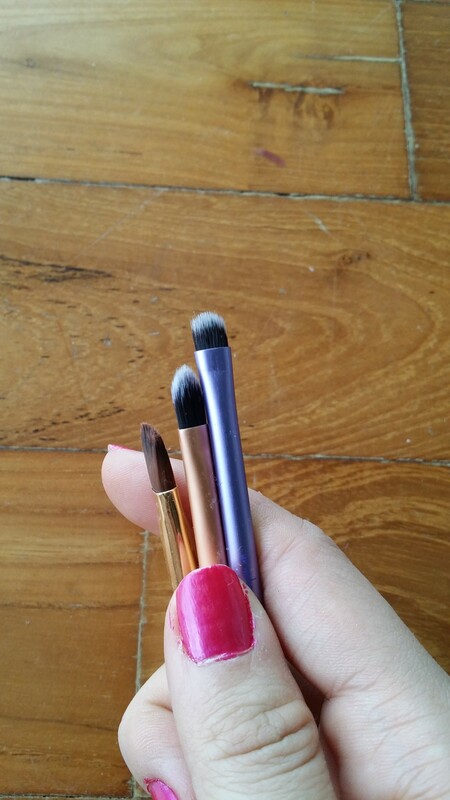 So today I’ve used a few different brushes to swatch 03 Purpura to show you which is the most effective brush to use. Look at all the goodness!!!! Here are the brushes. 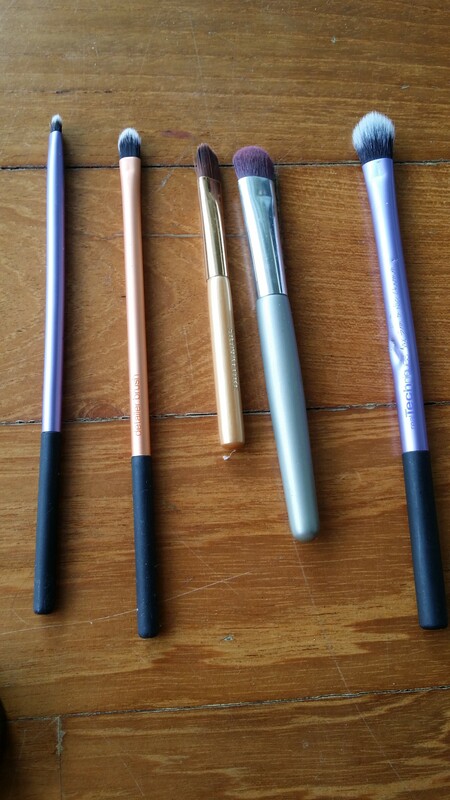 From L-R: Real Techniques Eye detailer brush, Real Techniques Concealer brush, Missha Extreme Cover Concealer brush (comes with the concealer), Red Earth travel flat shader brush, Real Techniques Base shadow brush. The purple RTs are from the Eyes Starter Kit, while the orange one is from the Face Starter kit. All are synthetic. I’ve arranged the brush sizes from small to large and dense to fluffy. 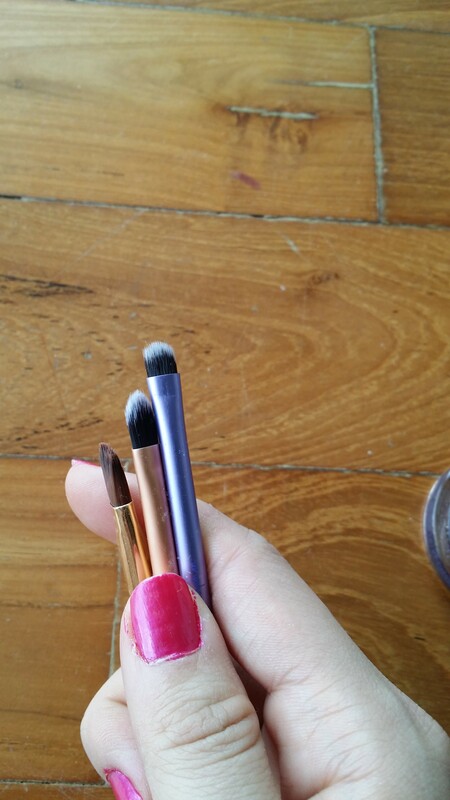 The first 3 are essentially flat brushes, while the Red Earth and the RT Base shadow are much fluffier. 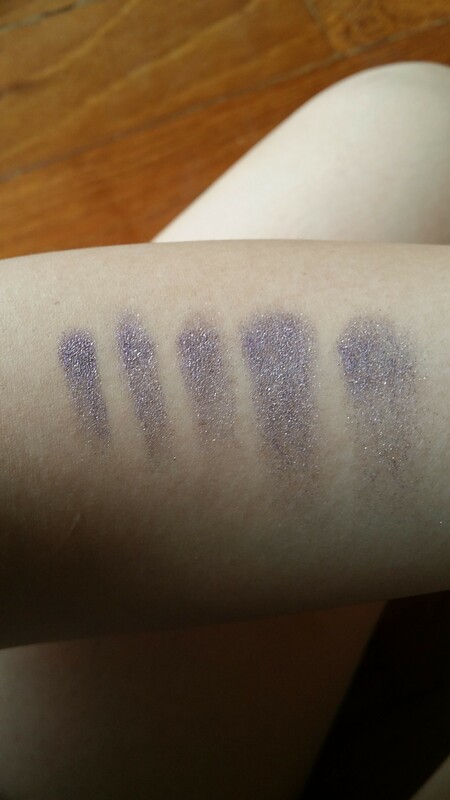 Here are the corresponding swatches of Purpura on my arm using the respective brushes. 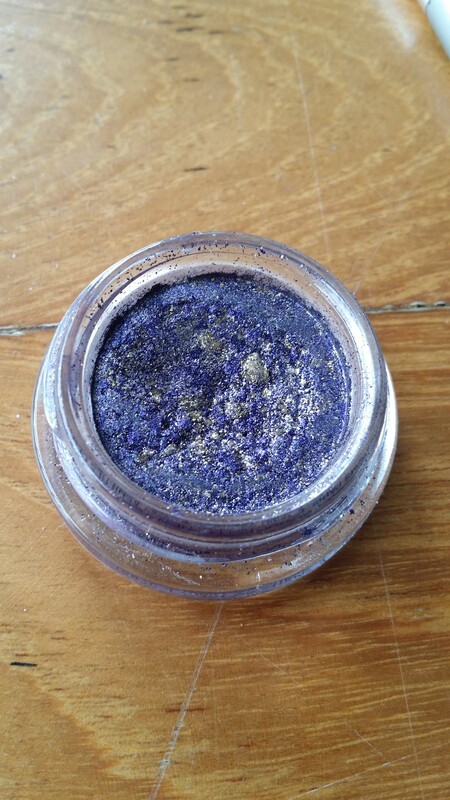 For each swatch, I swiped the pot once, tapped off excess powder, and then swiped my arm a couple of times. As it is not really a pressed shadow, the pigment kind of disperses on the brush and can create fallout and a messy application, which is why the right brush is very important. It is clear that the RT Detailer brush is the winner. The swatch is neat and opaque with little to no fallout. The worst is the RT Base shadow, which applies it very patchily. Surprisingly, the Red Earth eyeshadow brush applied it better than the 2 concealer brushes I used. My conclusion is that extremely short, stiff bristles are the best for application. I thought the concealer brushes would work well for this, since they work well with my cream shadows in pots, but they didn’t, because the bristles were too floppy. 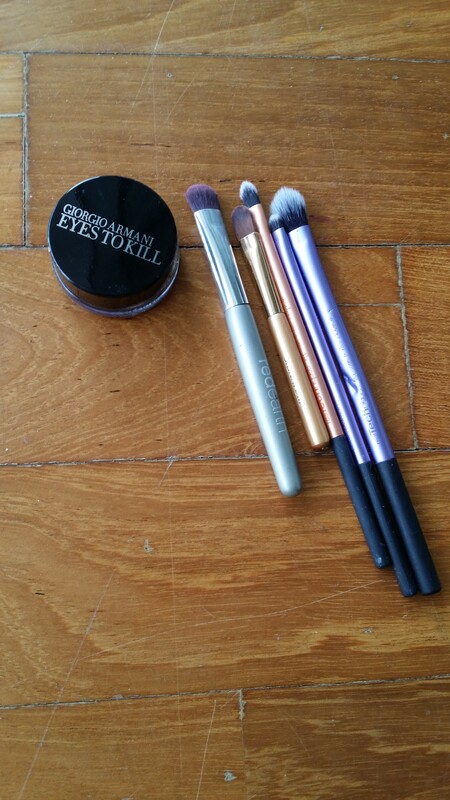 The best is the RT Detailer brush, which is actually the brush of choice for me to apply both the GA ETKs and cream shadows, especially since my eye space is on the smaller side. If not, you could just use a finger, because that gives extreme colour payoff! The Anastasia Self Made palette is driving me nuts!! !